We love poppy seed chicken! 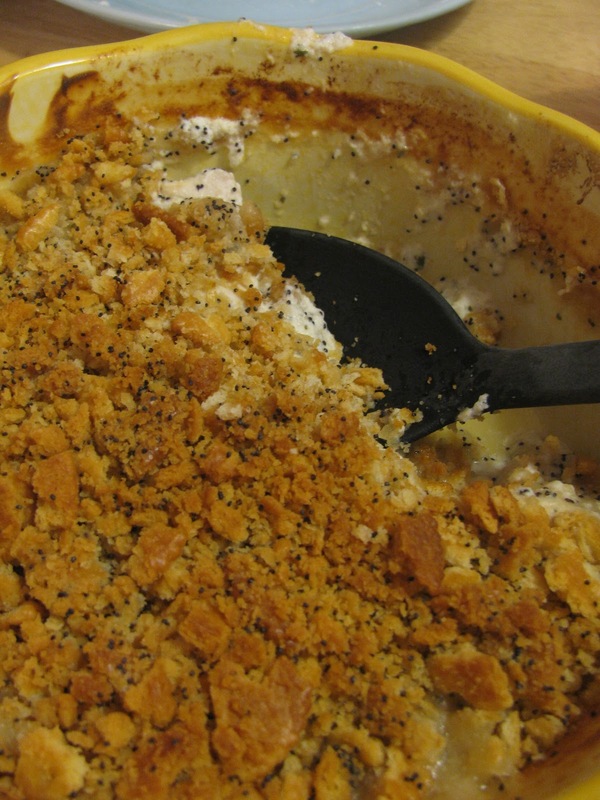 It's good with cornflakes on top too, though I think Ritz crackers would be the absolute best. Do I have poppyseeds??? And are you prejudiced against cream of chicken soup???? Uh, I have no idea if you have poppyseeds, why on earth are you asking me??? LOL. And I sort of swore of cream of chicken soup over the last year or so. Not a huge reason... I just sort of found out I really didn't need it, and I've always thought it was kind of gross anyway! So it's sort of a budget/health/taste/laziness solution. Shayna, I'm so glad! It's my hubby's absolute favorite meal.